Jewel offers a new benchmark for luxurious architecture and interior design in the Sydney off-the-plan market. The development concept was “Highly Commended” in the 2014 Architecture and Concept Awards. Jewel offers the first north-facing waterfront residences in Wentworth Point in the almost two decades since Mariners Cove spearheaded development here back in 1996. Jewel’s uninterrupted tranquil northerly water views into Meadowbank Park are unique in two ways. Firstly, all other developments in Wentworth Point face east, neighbouring Rhodes faces west, whilst Meadowbank faces south. Secondly, Jewel is the only site with prized views across the water into parkland rather than looking over other high-rise developments. 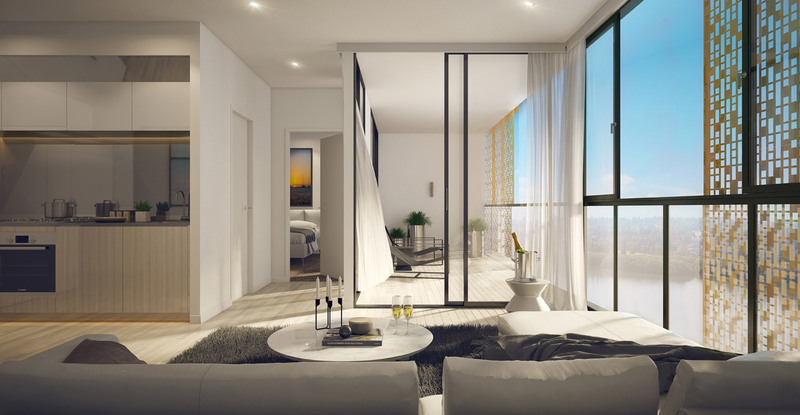 Sitting at the pinnacle of the Wentworth Point peninsula, the majority of Jewel’s residences enjoy water views. The supermarket, cafés, restaurants and retail precinct will be the most exciting offering in the area. Think Opera Bar, Grounds of Alexandria and Fratelli Fresh. A new 400-metre bridge is now being built connecting Wentworth Point to Rhodes’ retail and train station. The bridge is due for completion in 2016, well before the first Jewel residents will move into their luxury residences. This bridge also unlocks direct access to the Rhodes Shopping Centre. Continuous capital growth and strong rental yields make Wentworth Point Sydney’s smart investor hotspot. Rental yields are 4.8%, the highest in the wider area which generally range from 3.9 to 4.8%. Research indicates that Wentworth Point is still largely undervalued compared to neighbouring suburbs. The adjacent ferry wharf is currently under expansion to allow extra services for the 13 million annual visitors to Sydney Olympic Parklands, and the unparalleled population growth in the area. There is convenient direct ferry access to the Sydney CBD via Circular Quay and also to Parramatta. Already Sydney’s seventh largest local economy, the area has been identified for further growth, as identified in Sydney’s recent strategic plan, published in December 2014. Jewel is located between two strategic business centres (Sydney Olympic Park and Rhodes), and several large international corporations, such as Samsung, are already domiciled in Sydney Olympic Park. Western Sydney is leading Australia in job growth. Specifically, the Olympic Park Corridor is set to accommodate one third of all new jobs in Western Sydney by 2036. Jewel enjoys uninterrupted water views, with a new park being built to the east and Australia’s largest urban parklands to the west, featuring recreation areas, wetlands, waterways, 35kms of bike paths, walking trails, and one of Sydney’s most popular children’s playgrounds. 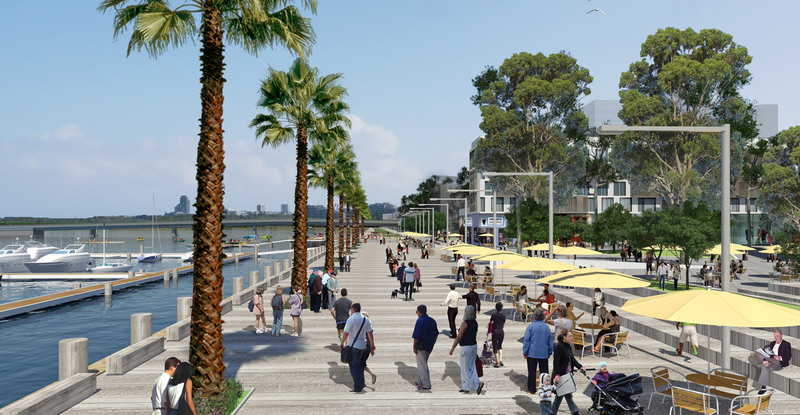 A planned waterfront promenade unlocks 4kms of peninsula foreshore, connecting a proposed future marina with Jewel and Sydney Olympic Parklands. The parks and adjacent sporting and entertainment venues, attract nearly 13 million visitors every year for business, conventions, sports, recreational and entertainment purposes. 11. What you can't see yet! 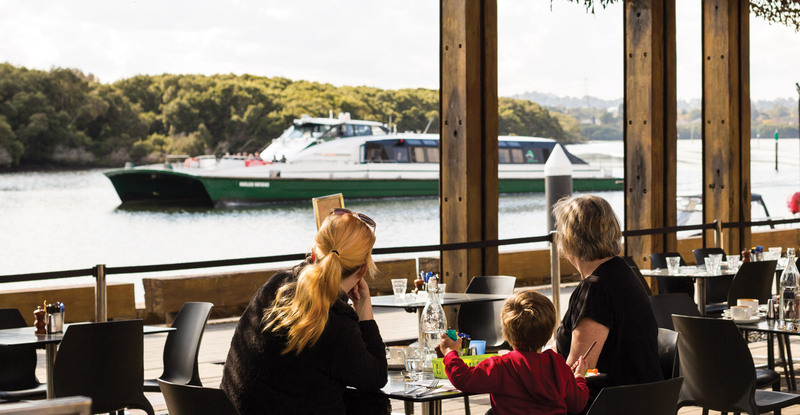 Wentworth Point is celebrated as the resort peninsula of Sydney, with an unparalleled community lifestyle. Additional facilities such as a new school, childcare, a marina, a new promenade, parks and roads will further increase the amenities and value of the suburb. This website (“Site”) is operated by the legal owner and the operator of the Site Payce Communities Wentworth Point Pty Ltd, SH FWT Development Pty Ltd and their associated entities and related parties and its related corporations and associates (“we”, “us” or “our”). We have several areas where you can submit information to us, and we also have features that automatically collect information (e.g. cookies) from the users of our Site. Registration: When you visit or transact business on our Site, you may be required to register with us or be requested to provide us with personal and account information such as your name, account number, address, telephone number, e-mail address, subscription details (i.e., particular types of markets or property types on which you request information), and any other information that personally identifies you or would permit us to contact you. We may also collect information from any other document which you submit to us in connection with your expression of interest or acquisition of an apartment in Jewel. While you may be entitled under the Act to transact with us without identifying yourself or using a pseudonym, we may refuse to provide services or deal with you without you identifying yourself to our reasonable satisfaction. We will use the information collected in order to keep you informed about our latest news, products and services, we may send e-mails and announcements to your personal email address that you provided to us while registering on our Site. You may unsubscribe from such list by following the instructions contained in each email we send to you to unsubscribe from such e-mail list. Disclosure to Vendors: We may share your personal information with companies (“Vendors”) acting as our authorised agents in providing our service (e.g., customer/support services) to you, all of which agree to use it only for such specified purposes. Each Vendor must agree to implement and maintain reasonable security procedures and practices appropriate to the nature of your information in order to protect your personal information from unauthorised access, destruction, use, modification or disclosure. Legally compelled disclosure: We will also disclose your personal information when required to do so by law, for example, in response to a court order or a subpoena or other legal obligation, in response to a law enforcement agency's request, or in special cases when we have reason to believe that disclosing your personal information is necessary to identify, contact or bring legal action against someone who may be causing injury to or interference with (whether intentionally or unintentionally) our rights or property. By providing any personal information to us, you fully understand and consent to the transfer of such personal information to, and the collection and processing of such personal information. Your personal information will be stored and processed on our computers in Australia. We will use commercially reasonable efforts to hold and transmit your personal information in a safe, confidential and secure environment. If you object to your personal information being transferred or used in this manner please do not register with or use the Site. We endeavour to protect the security of your personal information and your choices for its intended use. We store your personal information on a secure server, and use procedures designed to protect the personal information we collect from unauthorised access, destruction, use, modification or disclosure. You have the right to have access to the personal information we hold about you. You can also request an amendment to this personal information should you believe that it contains inaccurate information. Should you wish to obtain access to or amend the personal information that we hold, please contact our Privacy Officer (contact details below) who can give you more detailed information. For security and confidentiality reasons, we will require you to verify your identity and specify what information you require. A fee may be charged for providing access, which will be advised in advance. The Act entitles us to refuse a request to access information in particular circumstances (such as specified business purposes or imperatives, and for law enforcement reasons). Where we do not uphold your request, we will inform you of the reasons for our decision. If the information we hold about you changes, we ask that you contact our Privacy Officer (contact details below) so that we may update our records. The information provided on this Site has been compiled for your convenience only. Images and diagrams depicted on this Site are intended to be a visual aid only and do not necessarily accurately reflect the objects described. We make no (and expressly disclaim all) representations or warranties of any kind, express or implied, in respect of or in any way connected to the Site and any information or item included on this Site from time to time. You, as a user of this Site, should make your own enquiries before entering into any transaction on the basis of or in reliance upon the content of the Site. We accept no responsibility for, and exclude all liability in connection with, browsing this Site and downloading any material from it. Whilst we endeavour to ensure that the Site is fully operational and error-free, we cannot guarantee this and therefore accept no responsibility for any defects and/or interruptions of the Site. We cannot guarantee that any file or program available for download and/or execution from or via this Site is free from viruses or other conditions which could damage or interfere with data, hardware or software with which it might be used. You assume and accept all risk of use of all programs and files on this Site, and you release us entirely of all responsibility for any consequences of its use. We may provide links on this Site to websites operated by third parties. You acknowledge and agree that we do not control nor monitor these third party websites. We do not make any representations about and cannot accept any liability for these websites operated by third parties. A link to a third party website on this Site does not imply that we in any way endorse the content of that third party website. Your access to third party websites may be governed by their own terms. To the fullest extent permitted by law we, including any of our directors, affiliates, officers, employees, agents, contractors, successors and assigns, exclude all liability for loss or damage arising from or in any way connected to the Site and any content or information recorded on the Site including without limitation losses arising from your use of, or reliance upon the content whether or not this is caused by any negligent act or omission. This limitation on liability applies to direct, indirect, consequential, special, punitive or other damages that you or others may suffer, as well as damages for loss of profit, business interruption or the loss of data or information. This Site contains registered trade marks and/or trade marks which are the subject of pending applications or which otherwise are protected at law. Unless otherwise indicated, the trade marks are owned by us or are the subject of a licence to us and may have protection under the laws of other countries. You are not permitted to use our trade marks except with our prior written consent. Australia and other countries. You must not reproduce, frame, transmit (including broadcast), adapt, link to or otherwise use any of the content on this Site, except as expressly permitted by statute or with our prior written consent. We reserve the right to make changes, modifications, additions, deletions and corrections to the Site, at any time and without notice.